Chicago's Most-Reliable General Contractors Best of Houzz Winner! MAKO Renovation (former Tile Doctor) is a general contracting family owned business with a long European tradition. On Chicago market since 1993. We have over twenty years experience in interior renovations. Our motto is perfecting every square foot and that is exhibited in all of our work. Knowledgeable and proficient experts ensure that every job is completed to perfection, leaving you with a clean space and a beautiful look. Whether it is a residential or commercial job, we are more than fully equipped to handle our client’s specific needs, no matter the size! From a small mosaic layout in your residential bathroom to a complete office remodel for your business. We only use quality materials and tools that allow our work to be fully productive and executed on time, count on us to get the job done. MAKO Renovation Inc. is a registered and insured an interior construction company for residential and commercial setting. Let us help you in renovating your home. Our professional staff is on hand to walk you through every step of the remodeling process. Get a free estimate for your project and join the growing list of our satisfy customers. We understand that the hub of your home is your kitchen. We know that you’ll cherish your new countertops for years to come. So, we always go the extra mile to deliver the quality you expect and deserve. Are you wondering what makes us stand out from any other countertop contractor in Schaumburg, IL? We have the experience, knowledge, and equipment to install your countertops in a manner that will far exceed your expectations. Our rates are unbeatable on the local market and since every project falls under certain time restrictions, we respond quickly. We are a reputable company that has risen to success in this field of work through a client-centric approach, commitment to excellence, and dedication. We offer the highest quality services at the best possible rates. Since our first day in business, we have perpetually aspired towards achieving greater heights in terms of quality in countertop installation & fabrication. So, waste no more time and book your appointment today! $500 Off Your Next Project - Call Today! North Shore's Premier General Contractor - Best of Houzz 2015-2018! 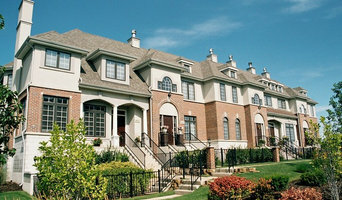 We are a licened, bonded, and insured professional construction company, employing only the most talented of tradesmen. Servicing the North Shore, with a focus on design, function and fit, no detail goes unnoticed. Our commitment, 100%, starts and finishes with our clients. We are not satisfied, and the job is not finished, until you the client, are happy with the final result. You will find that our friendly and knowledgeable team will be able to answer any question or concern you have. Please do not hesitate to contact Blue Sun Construction today, and join our growing list of happy clients. Krugel Cobbles is a family owned landscape masonry contractor in business for 35 years. For 18 years we have been bringing vitality and new life to homes all across Chicagoland with our remodeling ideas, experience in renovation, and uncompromising workmanship. Our endless devotion for what we do reflects in our clients' satisfaction. That is why we have been awarded the prestigious 2015 Angie's List Super Service Award in categories of: General Remodeling, Kitchen and Bathroom Remodeling, Lighting, Ceramic Tile, Interior Painting, Plumbing and Electrical. Luxury Bath & Tile is Evanston's Flooring and Closet expert. We're a family owned business located at 3008 Central St, Evanston. Our goal is to build lasting relationships one client at a time by giving free design services and unparalleled customer service. We have great pricing on carpet, hardwood, vinyl, porcelain, ceramic, marble tiles and mosaics. We can also help you with any storage solutions you may need. We are a full service fabricator specializing in all types of natural and engineered stone products. Conveniently located in the Crown Point industrial park, with over 65 years combined experience in the stone industry, we have the knowledge and expertise to help our customers make the right choices for their project by providing individual guidance and education through the selection and design process. Our mission is not to just sell you a counter top, but rather to cultivate a relationship of trust through information and education that allows our clients to make a fully informed decision that fits both their budget and taste. We want our clients’ experience with us to be so enjoyable that they will not hesitate to return for future projects, or even refer their friends and family to us. As a family owned company, stone is not just our business. It’s our passion. Specializing in natural stone fabrication and installation for not only countertops but also bathroom vanities, benches and bench tops, bar and table tops, fireplace surrounds, shower walls, and outdoor kitchens and bars as well as many more surfaces. At Classic Tile, our reputable team will translate your personal style into a customized look for your home. We welcome you to visit our Highwood, Illinois showroom to see the wide range of classic and unique resources we have to offer. Our staff can assist you throughout the process; reading blueprints, estimating quantities, and making CAD drawings or layouts. We use our industry knowledge and your vision for a truly customized solution. Not only does Classic Tile sell the products, but we professionally install them and offer expert repair and maintenance as well. We offer innovative solutions to heat and plumbing problems, including Kerdi waterproofing drain systems and Nu-Heat heated floors. We are the premier providers of granite and marble stone in Chicago. Our goal is to provide you the very best in counter tops and the highest level of customer service. Our success starts with our team. We have achieved our reputation over the years by our team’s dedication. We provide each project a distinctive quality of work along with technical expertise and by using our latest machinery. Best Quality, Best Service, & Best Price! Our services include an extended knowledgeable technical team to assist you in your selection process. All together we formulate the best prices along with quality materials and services. 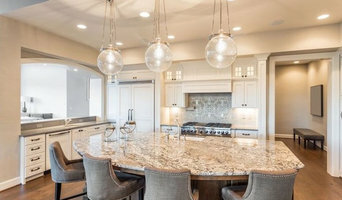 Perfect Stone Inc. is the perfect choice for homeowners, builders, designers and interior decorators with a dream to custom build a granite counter top, fireplace, Jacuzzi or custom medallion. 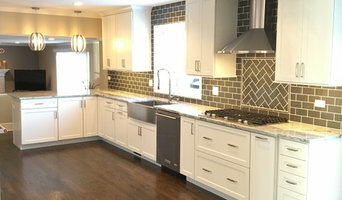 Helping clients with their tile and counter-top selections. The Process The first, and most important step in the process is meeting the client to get a sense of their taste and style. The goal is to educate and guide the client on selections and pricing for tile/stone and counter-tops. Our aim is to provide a unique service experience to fit each customer’s needs while keeping costs in line. Hirsch Brick & Stone Co. is the leader in custom masonry services. From paving stones to elaborate architectural stonework, we have built our reputation on two principles: quality and service. All of the team members at Hirsch Brick & Stone have had years of experience in the residential construction industry. 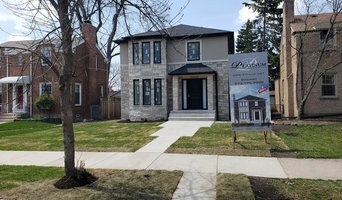 From your sales associate to the construction crews that will build your project, everyone brings an attention to detail that ensures the addition to your residence will have the quality that you expect.